PPSS Group is delighted to announce the appointment of Ryan Vickers as Director of Global Development. Ryan, who is due to take up the post in January 2019, boasts expertise in leadership, strategic planning, stakeholder engagement, and organisational change, and has a proven track record of delivering exemplary results in challenging situations. After a seven-year military career, Ryan was employed as a regional security manager in West Africa for a large energy services company, ensuring the safety and security of all employees, contractors and sub-contractors across 14 sites in four countries. This was followed by a role as Security and Risk Advisor for an oil company in Nigeria, as well as three years in Afghanistan, where he was engaged in a security program management role for the US government. For the past seven years, Ryan has worked for a large security and risk consultancy in Iraq, rising to a directorate role responsible for the delivery of security, risk and crisis services to foreign embassy and diplomatic missions, oil and gas companies, and international development organisations. 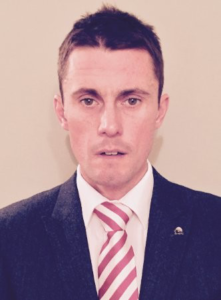 Ryan Vickers said: “This new role with PPSS Group excites me immensely. It is extremely important for me to be able to transition to a company with unrivalled products, approach and ethos. After initial discussions with Robert, it was clear that myself and PPSS were a ‘good fit’. The company is unique in that all key members of the team really are experts in the fields of safety, security, care and welfare of frontline professionals and organisations.